﻿ Cavani: "Messi and Cristiano Ronaldo are two great champions"
04.10.2012 » Cavani: "Messi and Cristiano Ronaldo are two great champions"
Napoli's forward, Edinson Cavani, has been playing in the Italian league for the past 5 years, but his two biggest references in the game are actually shining in La Liga, week after week. Cavani confessed that Lionel Messi and Cristiano Ronaldo are his current benchmarks and that his main objective is to reach near their level. 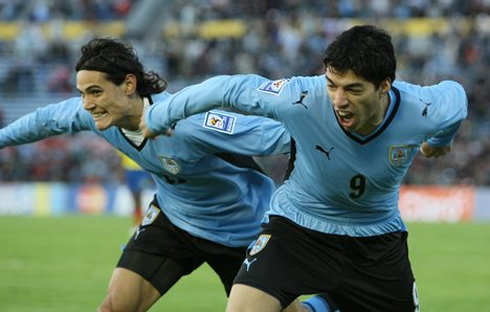 The Uruguayan forward Edinson Cavani granted a few statements to the Italian newspaper Gazzeta dello Sport, where he mentioned that Barcelona's Lionel Messi and Real Madrid's Cristiano Ronaldo are in a different level from the rest of the competition. The 25-years old player revealed that his main goal for the near future is to get into a similar level of the two Spanish League superstars. However, playing in Napoli might come as an obstacle. 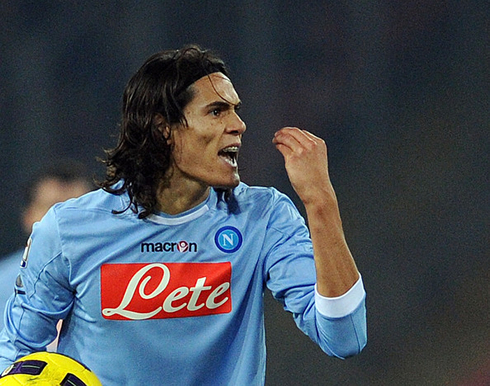 Cavani has recently ended with a big wave of speculation towards his future, as he extended his contract with Napoli until 2017 despite a very agitated transfer season during the month of August. According to ESPN, Chelsea was actually interested in signing Cavani over the last days of the transfer window, but ended backstepping when Napoli demanded 40€ million as a price tag for their star player. 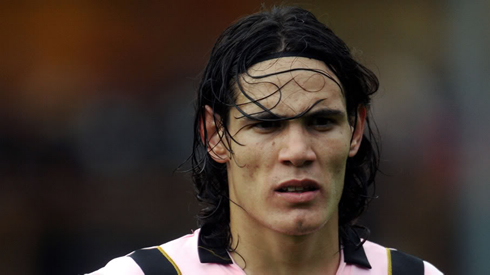 While playing in Italy, Cavani has started to impress in Palermo, back in 2006 when he signed for the Sicilian club in a 4.5 million euros transfer fee. Until the end of the 2009-2010 season, he had 117 appearances and 37 goals for Palermo, allowing him to be set as a desirable target for other clubs in the league. 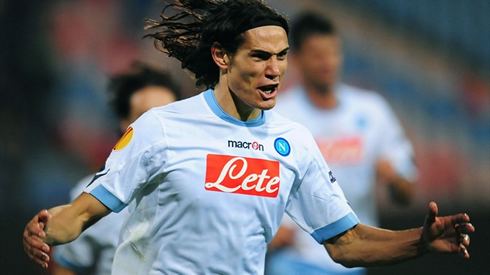 He ended up joining Napoli in 2010, in a total transfer fee of 17 million euros and his stats improved drastically. 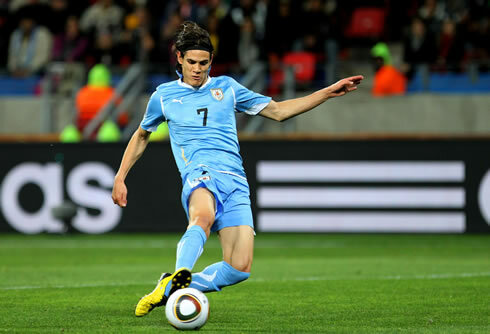 Over the last two seasons, Cavani scored nothing more or less than 66 goals in 95 games and established himself as one of the most prolific strikers playing in Europe. This season, his numbers remain top-notch and at a similar level from the ones pulled off by the likes of Cristiano Ronaldo or Lionel Messi. 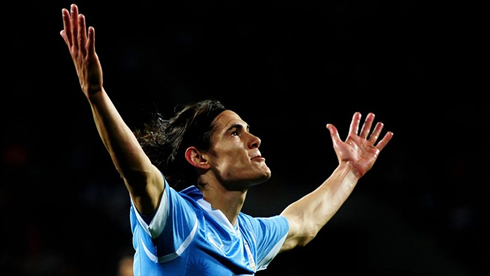 In 9 games played so far, Cavani has struck precisely 9 goals already. Messi has 10 goals in 10 matches, while Ronaldo leads the charts with 12 goals out of 10 games. 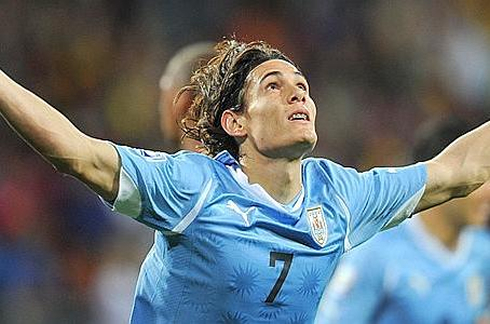 Cavani: "Lionel Messi and Cristiano Ronaldo are two great champions. I work incredibly hard every single day, with the hope that in a near future I can reach their level", said the Uruguayan forward in a quick talk with Gazetta delo Sport. The debate on who is the best player in the World will continue being a hot topic in the upcoming months, but Cavani doesn't seem to care about ranking one above the other and simply promised to focus on his own development as a football player. 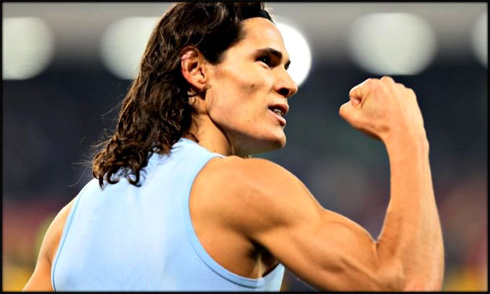 Edinson Cavani: "I am training and playing with the same intensity as if I were worth only 10% of my current price tag", noted the Napoli forward, after being confronted with the fact that his club may have declined several bids during the last transfer season. Clubs such as Chelsea, Manchester City, Juventus or even Real Madrid were allegedly interested in signing the 1.88m striker, but Napoli appearently refused to let go their most valuable asset. 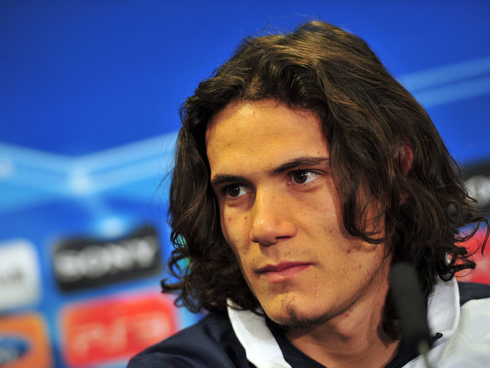 Cavani: "It's never easy to switch clubs and move to another city or country. If there was anyone really willing to sign me, then I guess they would have made an offer that couldn't be declined and as we know, that didn't turn out to happen. I have no problems at all with the price that Napoli are demanding for me (supposedly something near 40 million euros), as those matters concern only my agents and obviously the club itself", concluded the 25-years old. Cristiano Ronaldo is now getting prepared for the next Real Madrid game against Barcelona, next Sunday (07-10-2012). You can watch Juventus live stream, Barcelona vs Real Madrid live, Newcastle vs Bordeaux, Liverpool vs Udinese and Panathinaikos vs Tottenham, all matches provided from our football live streams section.